My students have been busy working on a mixed media project so I thought I'd repost one of my favorite mixed media projects from my old blog. 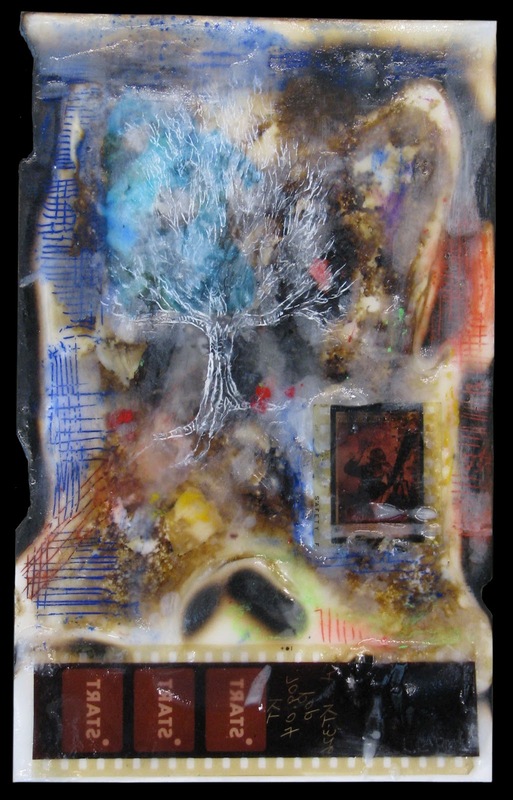 This is a mixed media encaustic painting which is a painting made with wax and lots of other media too! I started by burning glue on a piece of illustration board and layered on wax. Then I carved into the wax and rubbed in some oil pastel and imbedded pieces of an old film strip. I love the spontaneous nature of this process!